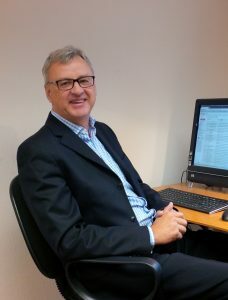 Roger Fielding will be the Manager responsible for Birn+Partners in UK and UAE. Roger has been supporting clients to get the best from their people for more than 25 years, working extensively around the UK, Europe, Scandinavia, India, Russia and UAE/Dubai. He has studied to graduate and postgraduate levels in management, psychology, education, organisational behaviour, social research and business (BSc MPhil PGCE MEd MBA). He is a Certified Professional Co-Active Coach (CPCC) accredited by The Coaches Training Institute (CTI) and an Associate Certified Coach of the International Coach Federation (ICF). He also has a Diploma in Performance Coaching and a Certificate in Life Coaching, and is accredited to use Myers Briggs Personality Type Indicator (MBTI). In respect of both clients and associate colleagues, Roger looks for sustainable partnerships and long term relationships with people he likes, trusts and respects. He feels it is important that we all enjoy ourselves along the way of life and work, being sensitive to the need for work/life balance, equality and fairness. Roger has a 25+ year track record of successfully sourcing, selecting and placing senior executives within a wide range of international clients. He also now spends his time with individual leaders, working as an executive co-active coach; with groups facilitating meetings or delivering Workshops and Away Days; and delivering bespoke inhouse leadership seminars and programmes. Roger’s clients have included ITT Corporation, Flowserve Corporation, DHL Logistics, Rolls Royce Aerospace, Sopra Group, talkbackTHAMES now FremantleMedia UK, sfs Intec, NYSE Euronext, Inc. now part of IntercontinentalExchange, Smith and Nephew, Manchester University, Cambridge University, The University of Leeds, Cumbria Wildlife Trust, Rhead Group, Peter J Douglas Engineering (PJD), ITT Corporation and many others.